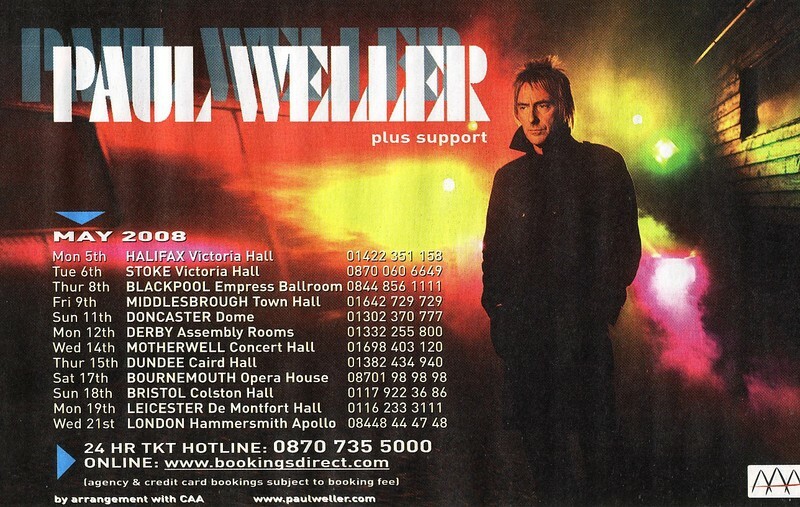 Paul Weller Tour Advert From NME! – Paul Weller News! Here’s the May tour advert from the latest issue of NME. This was provided by the kind folks over at the Paul Weller Chat Forum. Previous Entry Paul Weller And Souad Massi Collaboration!